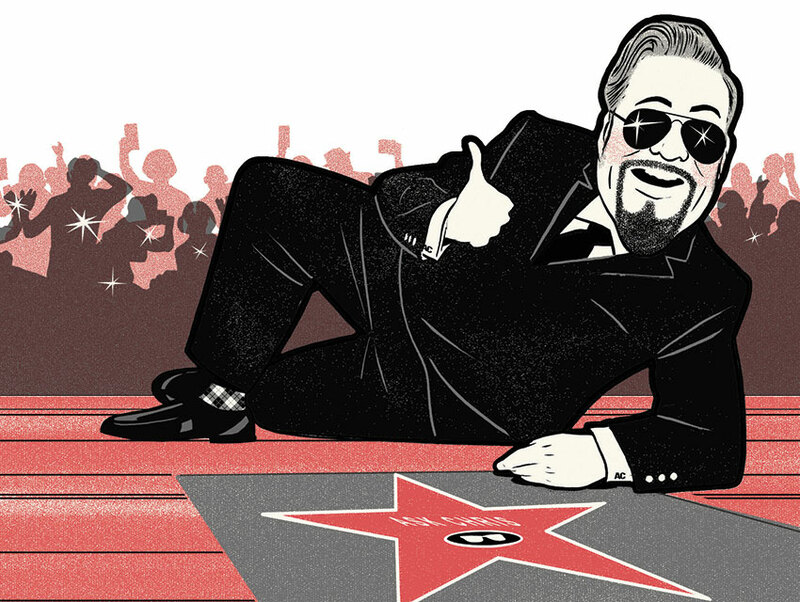 Ask Chris: How Do Celebrities Get a Star on Hollywood Boulevard’s Walk of Fame? Every June since the 1970s, a committee of six representatives from the motion picture, television, radio, recording, and theater industries sifts through hundreds of application forms submitted by fans to determine which icons—living, deceased, and imaginary—will be honored with a pink terrazzo star on the sidewalk. About 24 are selected each year. Winners or their representatives pay $30,000 for the installation and dedication. The class of 2015 includes Raymond Chandler, Melissa McCarthy, and Snoopy. Sorry, Charlie Brown.